There is no need to have a different vanilla cake recipe for every layer cake that you make. 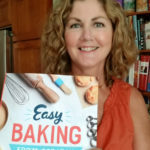 Once you have a recipe that you can rely on, just use a different filling or icing with the same cake and you have a whole new dessert. Italian Meringue Buttercream can be flavored with chocolate, fruit, liquor, coffee, etc. One recipe, endless possibilities. That’s what an essential recipe is. 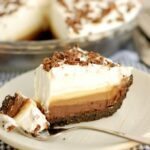 One essential recipe is the basis for an unlimited number of desserts and pastries. Vanilla Pastry Cream is definitely an essential recipe in every pastry kitchen. 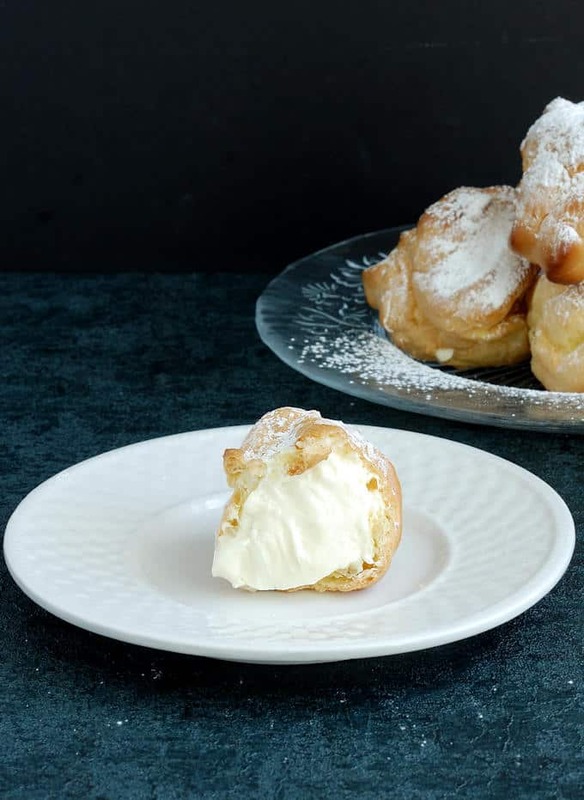 Once you master this recipe you can use it to fill Cream Puffs or Eclairs. 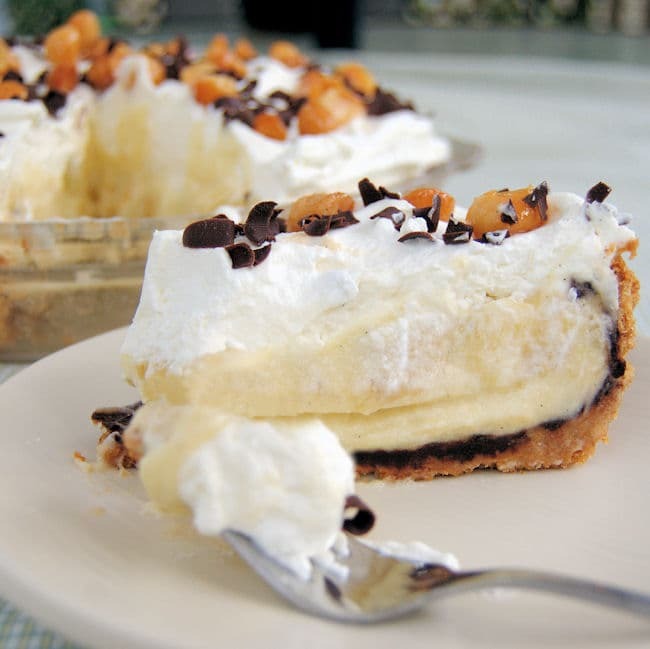 You can add bananas and make a Banana Cream Pie. 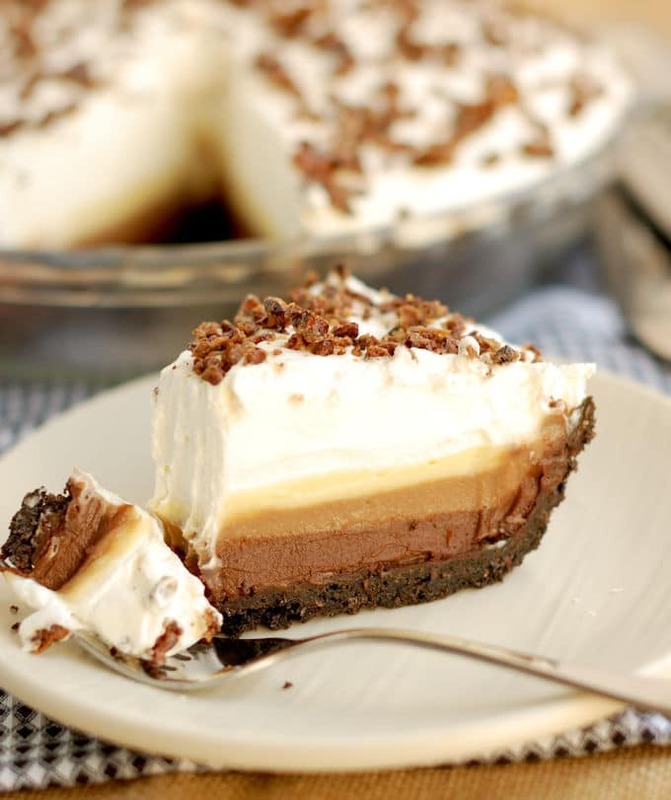 Add chocolate to make a Triple Chocolate Pie, or add coconut & rum to make a Pina Colada Pie. Pour pastry cream into a tart shell (made from Short Dough, another essential recipe) and top it with fresh fruit for a classy and delicious dessert. Pastry Cream is a custard. A custard is simply a liquid (often a dairy product) that is thickened with eggs. Creme Anglaise is a custard sauce, and Lemon curd is a custard made with fruit juice. 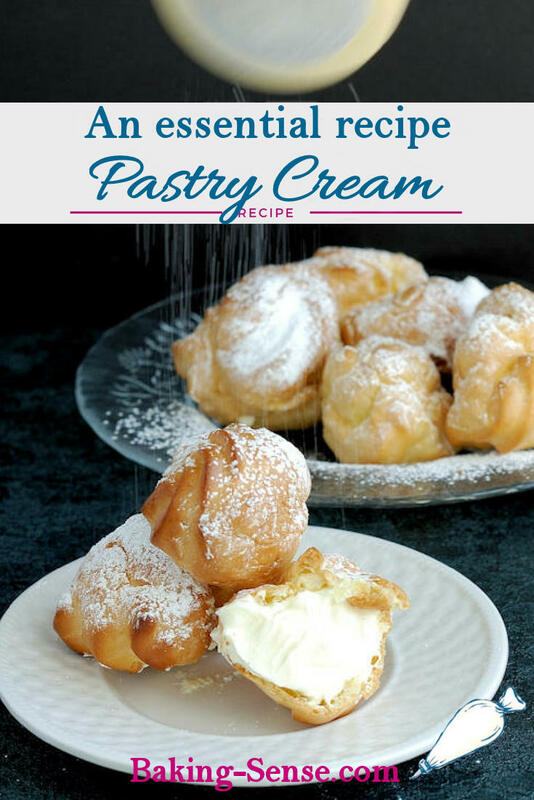 The difference between Vanilla Pastry Cream and Vanilla Creme Anglaise is that Pastry Cream has starch added to thicken the custard enough that it can holds it’s shape once it’s cooled. 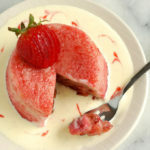 Whereas Creme Anglaise flows and is used as a sauce, pastry cream is thick enough to fill a cake, tart or pastry and hold it’s shape when sliced. That little difference it actually based on some pretty interesting food science. YAY, FOOD SCIENCE!! 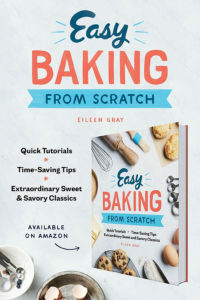 Ok baking geeks, let’s get into the nitty gritty (or you can simply move on the to video and recipe if you care less about the why than the how). Again, all custards are thickened with eggs. As I discuss in detail in my post all about the baking science behind eggs, when an egg is heated protein chains in the egg break their bonds, open up and form new bonds. The new bonds trap the water in the egg and egg becomes a solid. 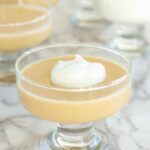 When making a custard, the egg proteins are diluted by the liquid (the milk in this recipe) so the solid network of proteins is much softer and more fragile. This is why a custard is soft and jiggly, while a scrambled or fried egg is more solid. You can change the texture and thickness of a custard by changing the number of eggs used and the mixture of yolks vs. whites. Use more whites for a firmer custard. Use more yolks for a more tender and richer custard. 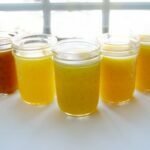 The general rule is is to use 1 whole egg or 3 yolks for each cup of liquid, or some variation thereof. The variations for a custard are endless depending on which liquid you use (whole milk, cream, lemon juice) and which combination of eggs you use (whole eggs, whites or yolks). This, folks, is why baking is as much an art as it is a science. Know the science behind why the ingredients do what they do, then use art to create exactly the outcome you want. Finally, why add starch to pastry cream if the eggs can thicken the liquid? The starch allows you to cook the custard at a higher temperature without worrying about curdling the eggs so that you can make a thicker custard. The starch molecules gel at about 175°F, very close to the temperature at which the egg proteins will bond. The swollen starch granules slow the bonding of the eggs proteins, preventing the curdling that can happen when a custard is cooked too hot or too fast. It takes about a 1 tablespoon of flour, or about 2 teaspoons of cornstarch per cup of liquid to prevent curdling and help solidify a custard. One word of caution though, once the custard is chilled, if you vigorously stir the custard you’ll break the starch bonds and the custard will become soupy. This is why I add butter and rum to the pastry cream while it’s still warm. Any ingredients added to a chilled custard must be folded in very gently. Watch the recipe video to see how make make perfect Vanilla Pastry Cream. 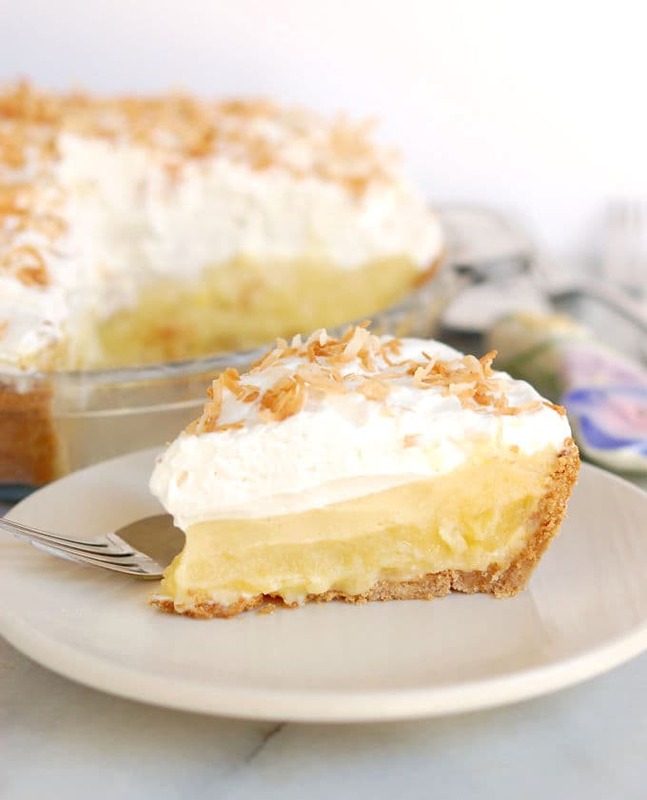 Hi Deb, I use a mix of coconut milk & whole milk to make pastry cream for my Pina Colada Pie. You can make it with all coconut milk if you can’t do regular milk. I haven’t specifically tried almond milk, but I’m pretty sure it would work. Let me know if you try it. I noticed the custard in the video is more yellow color and the consistency of regular custard. 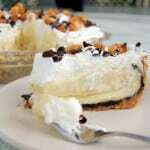 The custard showing in the eclairs pictures is white and very airy and fluffy. It doesn’t look the same . 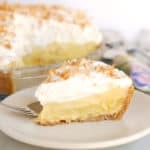 How do you add to the regular custard to create the whiter fluffy look and texture? Hi Miri, you have a good eye!! 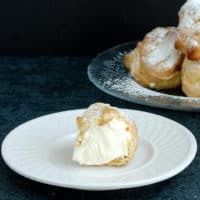 The filling in the cream puffs does have cream added. The recipe for the puffs and the filling is in the link.